Oolong is a traditional Chinese tea (Camellia sinensis) produced through a unique process including withering under the strong sun and oxidation before curling and twisting. Most oolong teas, especially those of fine quality, involve unique tea plant cultivars that are exclusively used for particular varieties. The degree of oxidation can range from 8% to 85%,depending on the variety and production style. 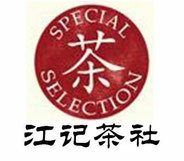 This tea category is especially popular with tea connoisseurs of south China . tea producing areas in the North of FuJian province ,ChongAn, JianOu, JianYang, ShuiJi, Zhenghe area of Fujian ,The most well-known oolong tea is the Wuyi Yan Cha, Also called Wuyi Cliff Tea or Rock Tea. Phoenix single bush come from GuangDong Cao'an district's Phoenix Mountains.The outstanding single bush with idiosyncracy in the Phoenix Narcissus variety colony is selected and plucked to produce Phoenix single bush. According to the various nuances in taste and fragrance, Phoenix single bush can be further categorized into more than 80 varieties, such as "Huang Zhi Xiang","Rou Gui Xiang", "Xing Ren Xiang" etc.Long,twisted leaves show with yellow auburn color. When infused, the gentle natural floral aroma and mellow, brisk taste will farthest satisfy your palate and nose. Phoenix single bush is definitely differentiated from other Single bush Oolongs by its special "mountain rhythm". The liquor of the cup is clear like tea oil.The tealeaves after infusion are green with red edge. As the weather in Taiwan is highly variable, tea quality may differ from season to season. Although the island is not particularly large, it is geographically varied, with high, steep mountains rising abruptly from low-lying coastal plains. The different weather patterns, temperatures, altitudes, and soil ultimately result in differences in appearance, aroma, and flavour of the tea grown in Taiwan. In some mountainous areas, teas have been cultivated at ever higher elevations to produce a unique sweet taste that fetches a premium price.